The children of Aslaug Evjen, Thor, Bjorn, Knut, Ingrid, Per and Solveig, announce the passing of their mother on July 7, 2018 at about 4:30 AM. Our mother was born in a small town on the west coast of Norway on April 28, 1928. She suffered thru the privations of the Second World War. She graduated with a nursing degree and started practicing in Drammen’s hospital. It was there that she met our dad, Ivar. They were married in 1951 with their first child arriving in 1952. Two other children joined the family but a life changing event occurred in 1958; following with their conversion to the L.D.S. Church the family made the decision to immigrate to the United States and settled in Utah. 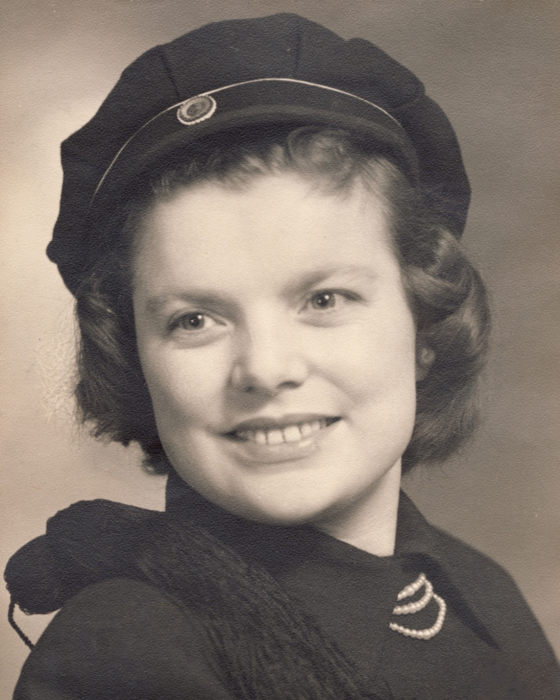 Our mother was determined to qualify as a nurse in the U.S. She enrolled at the U of U, and after diligent study earned her U.S. certification. She worked as a labor and delivery nurse at St. Mark’s. Three more children were born during those years. She retired after twenty years and began several hobbies, one of which was raising Norwegian Fjord horses. She also enjoyed painting. Our mother was a prolific knitter; she created works of art. She knitted many sweaters, mittens and socks. Most have gone to family and friends. She fought loneliness after our dad’s death in 2013. Now they are together again. She is especially happy to be reunited with her grandmother, Oline Standness. She is survived by six children, Thor (Trinka) Evjen, Bjorn Evjen (Barbara), Knut (Ennis) Evjen, Ingrid (Keith) Braden, Per (Kiersten) Evjen, Solveig (Michael) Desjardins, and 12 grandchildren and 22 great-grandchildren.